Six properties in Miami’s Overtown neighborhood just sold for $14 million, signaling growing interest in real estate in the area. A company tied to Thomas Neary and Arthur Bartholomew of Fort Lauderdale-based Walnut Street Capital bought the properties spanning 2.2 acres, records show. All of the properties were owned by companies tied to either Larry and Leslie Gratz or Teresa Matias of Miami. — An 83-unit apartment building called the Manhattan II at 560 Northwest 7th Street sold for $5.6 million. The building sits on a 30,000-square-foot lot. — A retail store at 701 Northwest 5th Avenue sold for $300,000. The property sits on a 5,000-square-foot lot. — A 20-unit multifamily building at 451 Northwest 7th Street sold for $1.6 million. The development sits on a 15,000-square-foot lot. — Two 10-unit multifamily buildings at 458 Northwest 7th Street and 448 Northwest 7th Street sold for $2.1 million. The combined lots total 15,000 square feet. — A 54-unit apartment building at 400 Northwest 7th Street sold for $4.35 million. The building sits on a 30,000-square-foot lot. More developers are buying properties in Overtown, a historically distressed area, due to its proximity to downtown Miami and its Opportunity Zone designation. 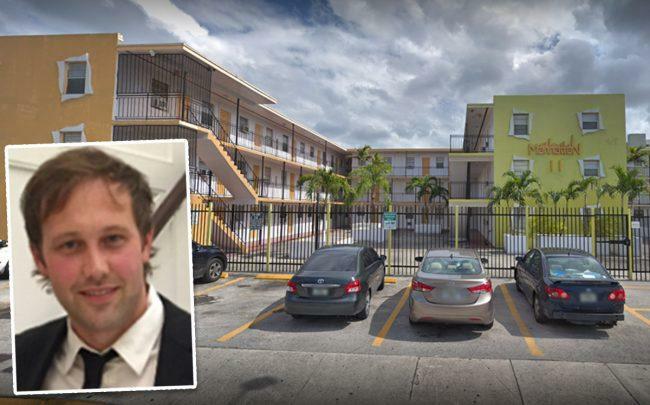 In January, BrickOne Group, led by Costantino Cicchelli, Frank Rodriguez Melo and Stefano Garofoli, paid about $5.4 million for three buildings with 66 apartment units at 149 Northwest 11th Street, 1232 Northwest First Place and 1201 Northwest Second Avenue in Overtown. The deal breaks down to about $81,250 per unit. Last year, a company tied to the principals of Miami-based TSG Group proposed a new Cambria hotel in Overtown. The 12-story, 192-key hotel will be built at 1313, 1321, 1331 and 1335 Northwest Ninth Avenue and 851 Northwest 13th Street.